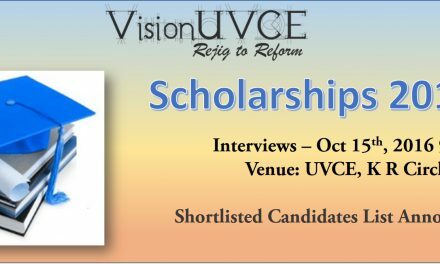 Team VisionUVCE is happy that we are able to continue the “VisionUVCE Scholarships” initiative for the sixth consecutive year, which is aimed at supporting the students in need and also to motivate them to reach higher and press themselves to achieve their dreams. 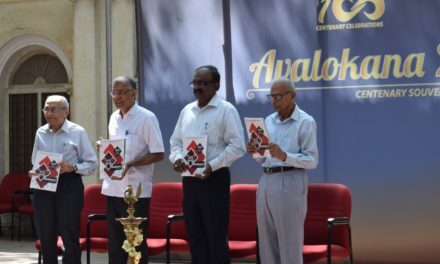 For our alumni supporters, we thank you for the constant support and encouragement. Please share the word among your other batchmates & colleagues who might be interested in joining hands in this cause. We are yet to upload our previous year finance details. We are working on it and will put it in our website shortly. If you have any queries, feel free to let us know. 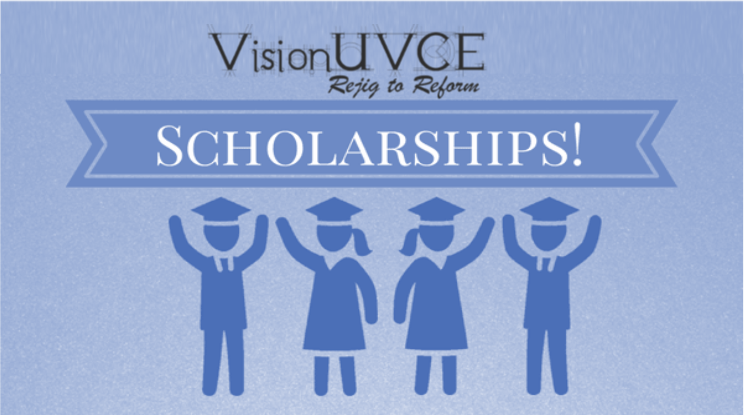 We hope that VisionUVCE Scholarships will continue to help the students in need with all your support. 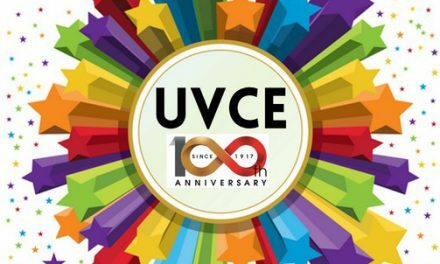 On the eve of 100th year, we strongly believe that UVCE will continue to stay strong with all the talented students. We thank our generous donors again.